​DVM volumetric dosing units are particularly handy. The direct percentage setting simplifies programming, while use is very flexible thanks to the 100recipes storable. 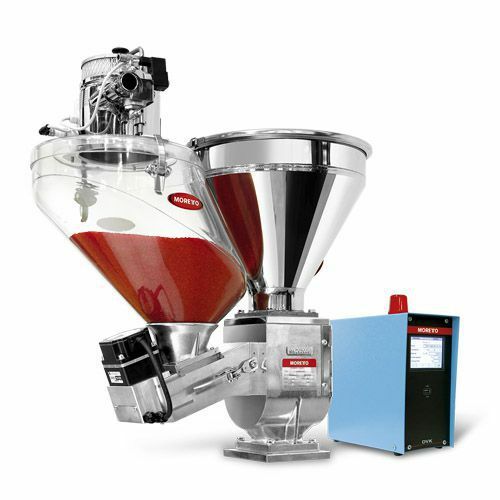 The inclined screwcontrols the accidental granule dropping due to vibrations. ​Special attention is paid to polymers, but it is often neglected that also masterbatches can also contain a considerable amount of humidity. 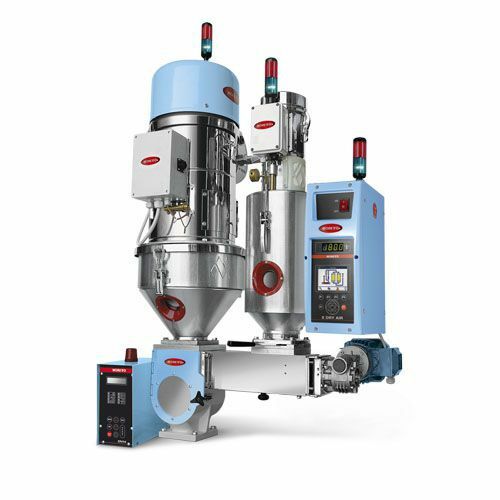 DVM H is a screw type volumetric dosing unit suitable for temperatures up to 180° C.
​These models can be directly installed on the machine outlet. 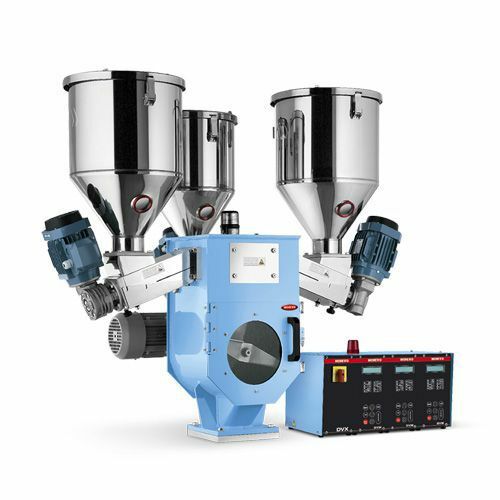 The use of inclined screws prevents the granules from falling into the system accidentally. 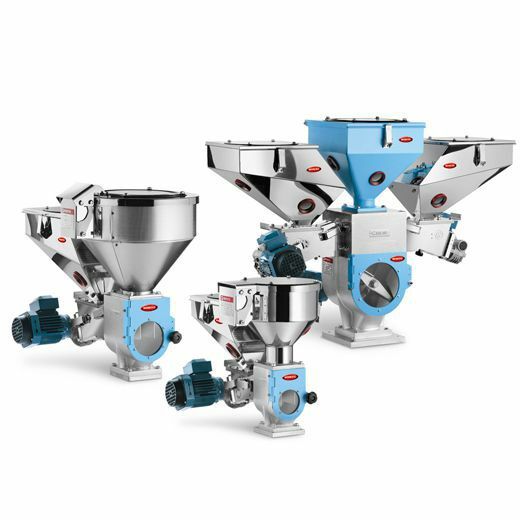 ​The DVX series dosing systems with vertical mixer can be directly installed on the processing machine. 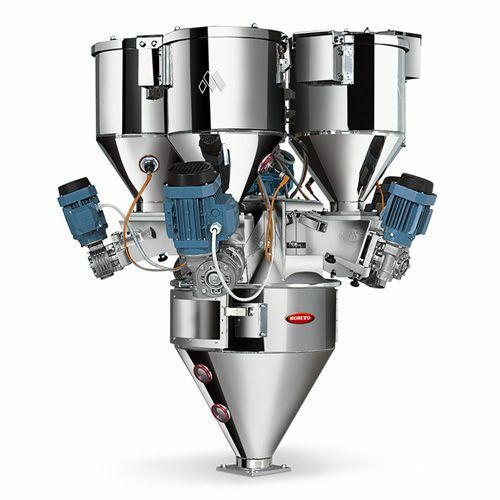 The mixer can be fitted with a vertical mixer.